Coming out of grad school my response was usually mumbling some ridiculous time period with a deer in the headlights look on my face. I had no idea. I knew the tissue healing timetable…and that was about it. I had little experience with specific injuries and didn’t yet understand the complex, multi-faceted factors that influence recovery. Now I’m a little better at hiding that deer in the headlights look, I have more clinical experience, and I know more about the art of recovery. Before diving into recovery, you have to understand a little more about the stressors that cause recovery and adaptation. 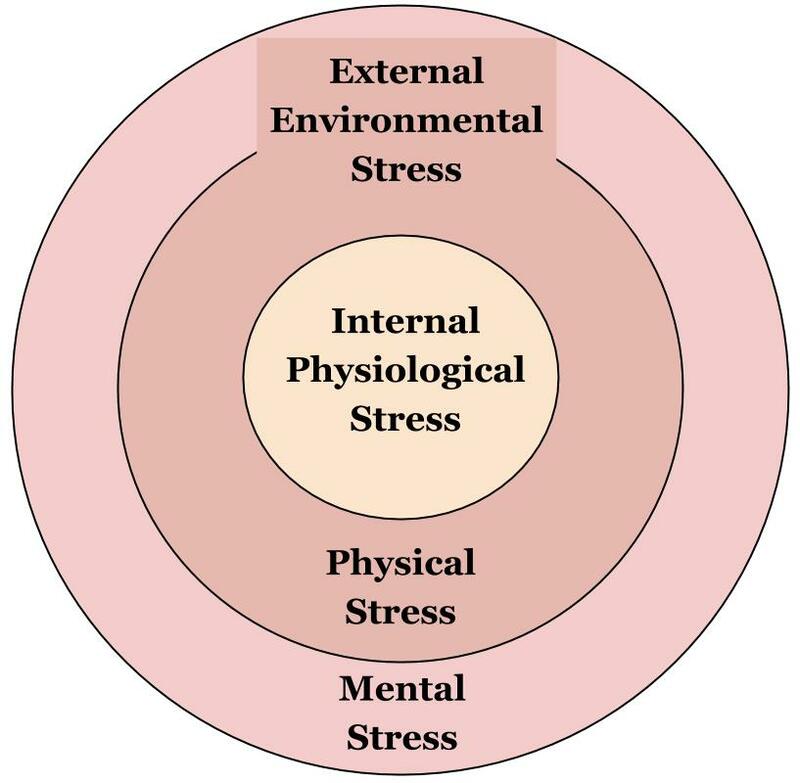 There are two types of stress: Internal Physiological Stress and External Environmental Stress. 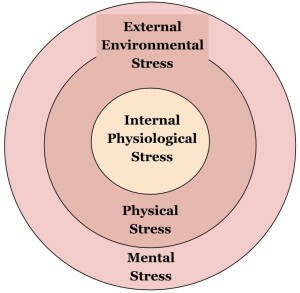 The Internal Stress is an on-going battle to keep our physiological homeostasis. 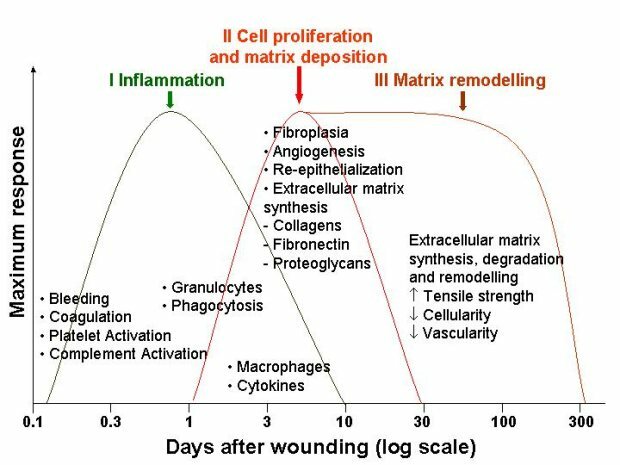 We have to adapt to these cellular stressors to make sure we can continue to keep all of our systems functioning together. This type of stress is perpetual as long as you’re alive. The External Stress is what happens when we interact with our environment. It’s how we adapt to function and survive in our surrounding habitat. This can be physical and/or mental stress. • Physical Stress includes any external force/load that is applied on the body (e.i., getting out of bed, walking, sitting in a chair, carrying groceries, bring a beer to your lips, etc.). Even gravity counts as a physical stress. But don’t use that as an excuse to skip your next workout. • Mental Stress includes all the sensory input and complex psychological processing. This is an extremely complicated system and cannot be overlooked. Even listening to music elicits a certain amount of mental stress, let alone listening while texting your friend, checking your email, and trying to avoid walking into people on the sidewalk. Unfortunately, there is no way to completely avoid stress. Trust me, with Netflix binge watching I have given it a good shot. Nevertheless, if you are alive, and you live in an environment, you will have to deal with these internal and external stressors. And this is a good thing (to a certain extent). All of these different types of stressors are compounded on the body. In other words, it’s cummulative. The external stressors are added to the internal stressors, and it forces your body to adapt (both physically and mentally). If your body can’t adapt, if it can’t recover from the stress…bad things will start to happen. I know, it sounds like a book you’d see in the self-help section of Barnes and Nobles. But I’ve come to realize how important recovery is when you look at the big picture. We all want our magical hands, brilliant exercises, and genius programming to cause specific advantageous adaptations that give our patients super-human like powers. But the sad truth is, even if we put a magic spell on a patient, they will only get better if they can adapt from it. Simply put, your patient won’t be able to adapt to physical stress without a proper recovery. The gains will be diminished, non-existent, or even reversed. And if this short term lack of recovery continues over time, it can lead to a very damaging effect. This applies to everyone; from rehab to strength and conditioning. Whether it’s a post-op ACL or a PR deadlift session, recovery drives the adaptation. Stress can either cause an adaptation or push them further down the biological stress path. Tissues will naturally heal. Our bodies have a great capacity to repair themselves. 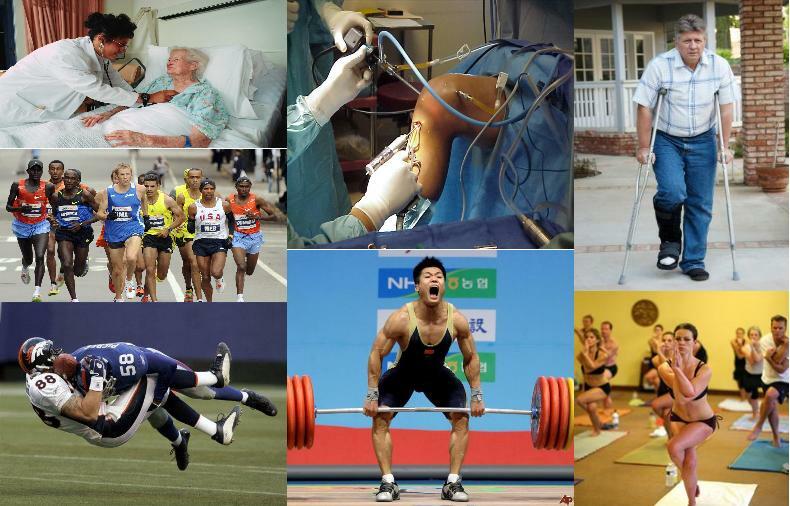 Tons of people injure themselves everyday and don’t need any rehab or exercises to recover. Their tissues heal with time (providing they don’t do anything stupid). They just ride the natural progression towards recovery. Understanding this simple concept is a big part of recovery. Since the tissues are going to naturally heal themselves, you better make sure you and your patient don’t do anything to disrupt this process. This comes down to educating your patient on the factors that influence their recovery. 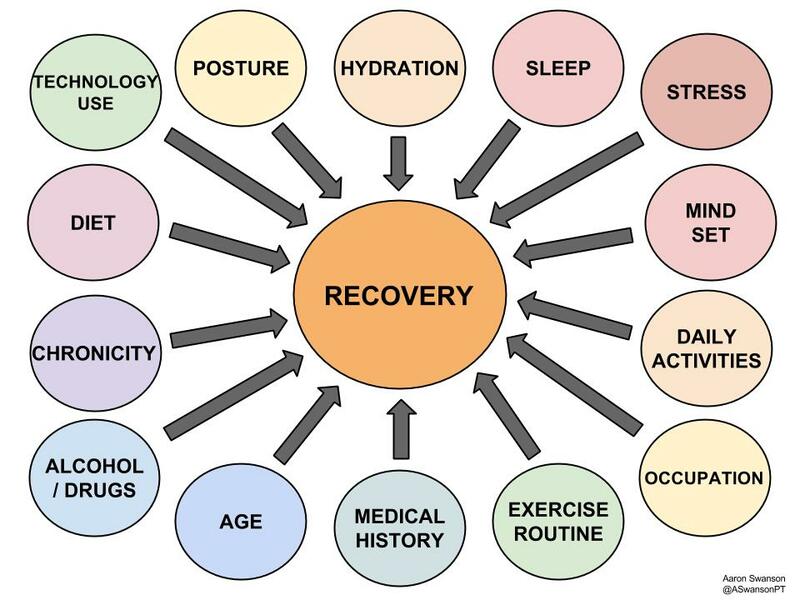 If all you do is control these factors of recovery, the patient will physiologically get better (not talking about pain and/or movement patterns). After you have the preventative/augmentative aspect of recovery covered, you can start to try to create the right environment for the patient to heal in. 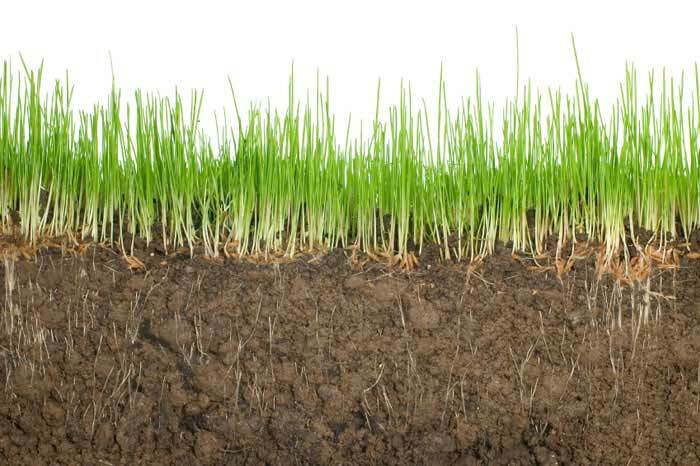 This comes down to controlling the specific stressors (seed) you apply to the patient (soil) in the clinic. The Art of Recovery is an individualized process that depends on who your patient is and what injury they have. Everyone is different and requires a different recovery process. You can’t apply a cookie cutter approach to recovery. It won’t work. There are too many patient variables to consider: coping style, lifestyle, social factors, occupation, expectations, education level, learning styles, previous injuries, expectations, economic status, goals, cultural background, etc. It needs to be tailored for the human being you are working with. Start by understanding all the factors that can influence recovery. Specifically, the external environmental factors, since these are the ones both you and your patient have the most control over. And these external environmental factors can be used to influence the internal physiological factors. Our species will respond in a similar manner to all these factors. Regardless of who you are, a bad diet, lack of sleep, high level of stress, and lack of exercise will adversely affect your recovery. However, the degree to which everyone is affected by these factors will differ. Once you understand this complex concept and some of the variables involved, you can then start to assess and individualize these factors to the person’s specific needs. It’s important to realize that many of these factors can either positively or negatively influence recovery. Recovery can be viewed from the lens of the nervous system (Autonomic NS). The nervous system oversees and affects all of the other systems, especially when dealing with stress. 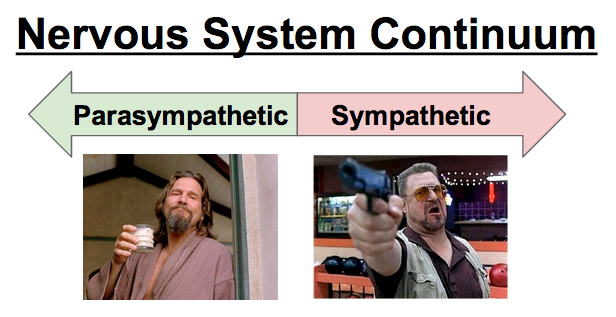 Everyone will be on a continuum of sympathetic and parasympathetic dominance. Where they lie on this continuum depends on many components, but global perspective can help to assess how much stress a person has. If there is a lot of stress (internal & external), the body will be in more of a fight or flight mode (sympathetic) trying to recover from this stress. If your body is adapted and not as stressed, it will be more relaxed (parasympathetic) and closer to homeostasis. You can generally tell what system is more dominant by spending some time with the patient. You can just globally look at their symptoms, interactions, affect, demeanor, and body language. Or you can get a little more objective using the cardiovascular system (heart rate variability). Either way, you need to determine where your patient stands. Are they too far on the parasympathetic side and need some added stress to initiate positive adaptation? Or are they too far on the sympathetic side and need to reduce some of the cumulative stress to allow for recovery? In general, your body recovers better on the parasympathetic side. Especially in today’s over stimulated world, everyone could probably benefit from getting a little more parasympathetic. Just realize that some people will need more work to get there. And the goal is to get to a state of neutral, not to push your patient into a coma for recovery. The Dude and Walter would, like, need completely different recovery programs, man. How to influence these factors is a whole other animal. Because of the complexity of patient variables, it is impossible to have a protocol for influencing recovery. Developing this approach is much like pain education, it really needs to be specific to the patient. Instead of dogmatically forcing certain methods or certain factors, listen to your patient and work with them on what they can do. For example, the new father with a busy work schedule may not be able to get 7 hours of quality sleep every night. It’s just not in the cards. So instead of beating a dead horse on sleep, you should educate and promote one of the other factors. He can probably improve his diet/hydration, exercise for 20 minutes, find 5 minute to meditate, or reduce his technology use at home. And this doesn’t need to be a 10 minute lecture or a big intervention. It is just an open discussion with the goal of educating the patient and helping them improve their recovery. How you educate them is up to you, but if they don’t know, they can’t change it. And if they can’t change it, that perfect exercise won’t “grow” to be the adaptation you were hoping for. All you can do is educate and try to sell the patient on recovery. In the end, their recovery is in their own hands. But also consider that you are doing more than just advocating recovery. A side benefit of focusing on factors that influence recovery, is that you are also promoting a healthier lifestyle. Not only will they recover more efficiently, but their overall health can dramatically improve with small changes. This could make a big impact on their quality of life. And think about the effect this could have on our healthcare system. Someone that sleeps 4 hours a night, doesn’t exercise, eats bad food, is stressed with work, and sits in a chair for 80 hours a week will cost the healthcare system A LOT of money. If this person could change at least one of those factors they would be in much better health and put less strain on the healthcare system (if 25% of the population were more fit, it would save over $58 Billion per year). Many times we become so worried about applying the perfect stress that we forget about the importance of the patient adapting to it. We can get so caught up with movement patterns, mechanics, pain education, and manual techniques that we sometimes overlook some of the easy ways to help a patient recovery quicker. Educating and attempting to control the factors that influence recovery is not only a part of their current rehabilitation, but it’s also a big part of their overall health. So the next time your patient inquires about “when they will get better”, take the opportunity to discuss some of the factors that influence their recovery (and their health). References will be provided in Part II.